The Patron of the Arts Awards ceremony and dinner honoured a total of 302 patrons who gave to the arts in 2017. Held at the Marina Mandarin Singapore, the annual event organised by the National Arts Council (NAC) saw Minister for Culture, Community & Youth, Ms Grace Fu, conferring awards to 104 organisations and 198 individuals altogether. A total of $51.6 million in contributions from corporate and individual arts patrons were celebrated this evening, comprising $37.1 million in cash and $14.5 million in-kind to boost Singapore’s arts scene. This year’s Awards also welcomed over 80 new patrons from across the board. Donations have dropped from $64.8 million given in 2016, and $136.1 million received in 2015. This year’s Patron of the Arts Awards welcomed over 80 first-time award recipients, including Ms Goh Swee Chen who supported The Teng Ensemble; Mr Rin Nan Yoong who supported The Singapore Repertory Theatre; event management company Milton Exhibits (Singapore) Pte Ltd which supported National Gallery Singapore and real estate developer Yunnan Realty Pte Ltd who gave to Singapore Chinese Dance Theatre. Existing patrons were also celebrated for their continued support of the arts over the years. These included City Developments Limited for its generous support of various arts ventures for over 10 years; The Hokkien Foundation, an unwavering advocate of traditional Chinese music and culture; United Overseas Bank Limited, which has supported visual arts, music and arts education initiatives of various local arts groups and schools over the years; and Mr Patrick Lee, who has been a long-time supporter of the Singapore Chinese Orchestra. Arts philanthropy in 2017 saw patrons supporting initiatives to cultivate young audience appreciation and increase accessibility to the arts, reaffirming a collective awareness in the community of the need to develop Singapore’s arts ecosystem holistically. Recognised at this year’s Patron of the Arts Awards was first-time Distinguished Patron of the Arts (DPOA) recipient Mr Kenneth Kam, Chairman of Kenn Foundation who made significant contributions to the Artist-in-School Scheme. “Though contributions to the arts in 2017 saw a dip, the total amount given to the arts by organisations and individual patrons in each contribution year since 2014 continues to surpass $50 million each year. 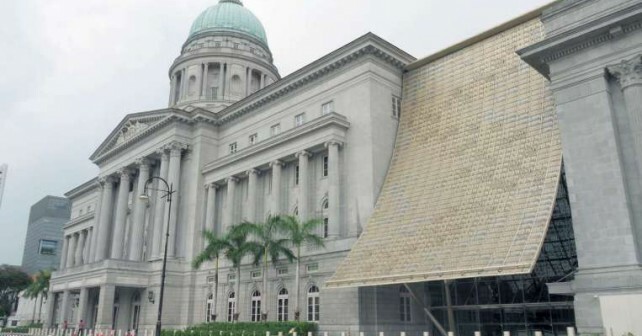 With larger infrastructure projects in 2015 (National Gallery Singapore, Singapore Chinese Cultural Centre), donors had opportunities to contribute in bigger ways that also impacted giving in subsequent years. With upcoming infrastructure projects including the Esplanade’s Waterfront Theatre and the revamp of Singapore Art Museum, donors keen on making transformational gifts have more opportunities to do so. We hope that with the recent $150 million top-up to the Cultural Matching Fund, coupled with ongoing fundraising efforts for large infrastructure projects, and increased fundraising capability amongst cultural groups, giving figures will increase going forward.